Since 2016, Dr. Wood has been at the helm of Heartland Chiropractic helping patients wanting to eliminate their pain, optimize their wellness potential and live a better life. We welcome every member of the Jackson community, from babies and children, to parents and grandparents. We focus on a gentle approach and feature advanced prenatal and pediatric chiropractic, as well as care for workers injured on the job. Dr. Wood grew up in Oran, MO. She was raised living an active lifestyle, but never experienced chiropractic care growing up. 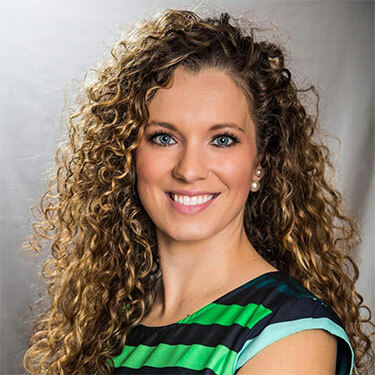 Through a series of random events, she started working for the previous chiropractor of her current office location after graduating from Southeast Missouri State University in 2011. From there, her interest in the profession expanded. She received her Doctorate of Chiropractic from Logan University in Chesterfield, MO in 2015. She then came to Jackson to work for the same Chiropractor who steered her onto this career path until her retirement. Since 2016, Dr. Wood has been helping patients at Heartland Chiropractic eliminate their pain and optimize their wellness potential. She’s currently a member of the International Chiropractic Pediatric Association, Missouri Chiropractic Association, Jackson Chamber of Commerce, and the Jackson Jaycees. When Dr. Wood isn’t busy helping patients get their lives back on track, she tries to spend a lot of time outdoors, exercising and enjoying the sun.